Nov. 28, 2017 9:30 p.m. 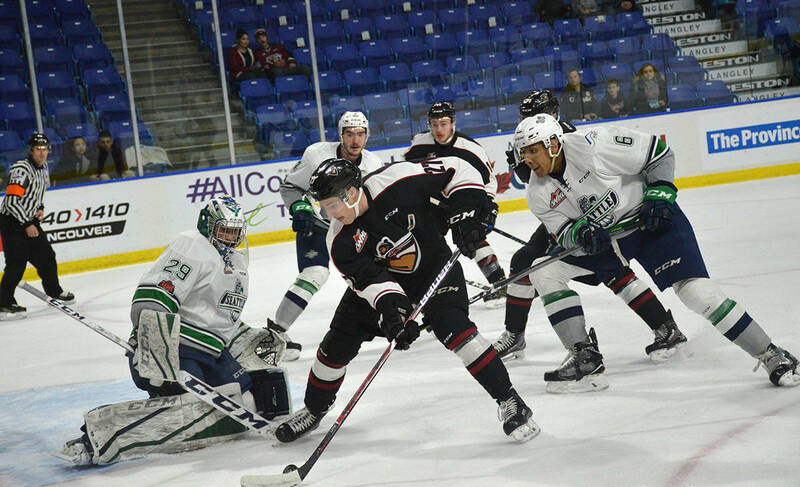 Facing the prospect of a season-high fourth straight regulation defeat, the Vancouver Giants rallied for the overtime victory. 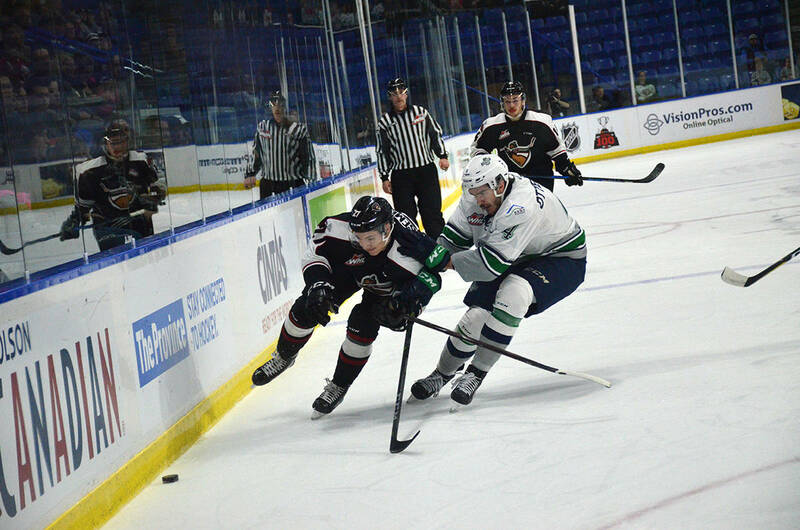 Giants captain Tyler Benson snapped home the winner during three-on-three overtime period to give the Giants an improbable 4-3 win over the defending WHL champion Seattle Thunderbirds on Tuesday night at the Langley Events Centre. The win improved Vancouver to 11-12-2-2 while Seattle fell to 11-12-1-1. 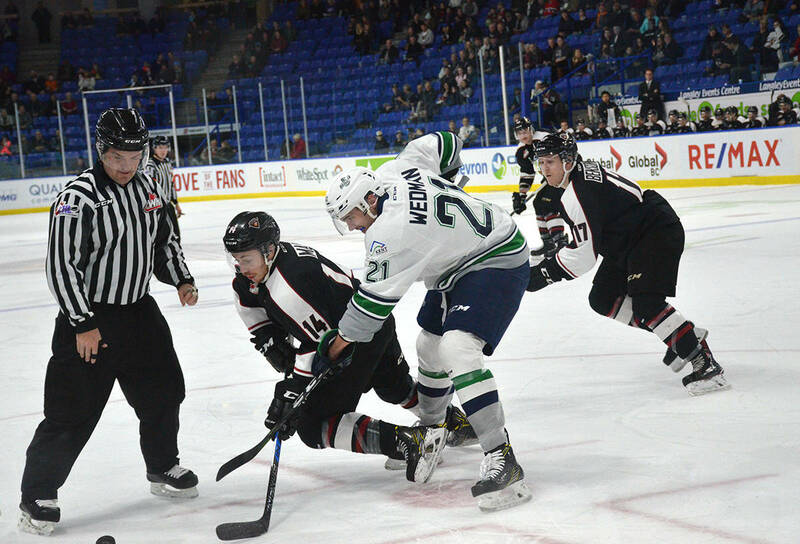 On the winning goal, with Dawson Holt was engaged in a puck battle along the boards in the Seattle zone, Benson collected the puck, took it back out the neutral zone to reset the attack and then skated back in and cut to the middle of the ice before burying his ninth of the season. The four goals marked just the second time in the past six games Vancouver has scored more than twice. Not surprisingly, they have won both those games while dropping the other four. Prior to their goal-scoring struggles, Vancouver had struck for 37 goals in their previous eight games, going 4-2-1-1 in that span. “We just haven’t been working hard enough and that is why we haven’t scored been scoring as many goals,” Benson said. The Giants power play played a big factor in the victory. Trailing 2-1 after 40 minutes, Milos Roman — with his first goal in six games — tied the score at two when he re-directed Brad Morrison’s cross-ice pass during an early third-period power play. Seattle’s Noah Philip put the visitors back up three minutes later when the Giants turned the puck over in the neutral zone and Philip walked into the high slot and put a shot through Todd Scott. 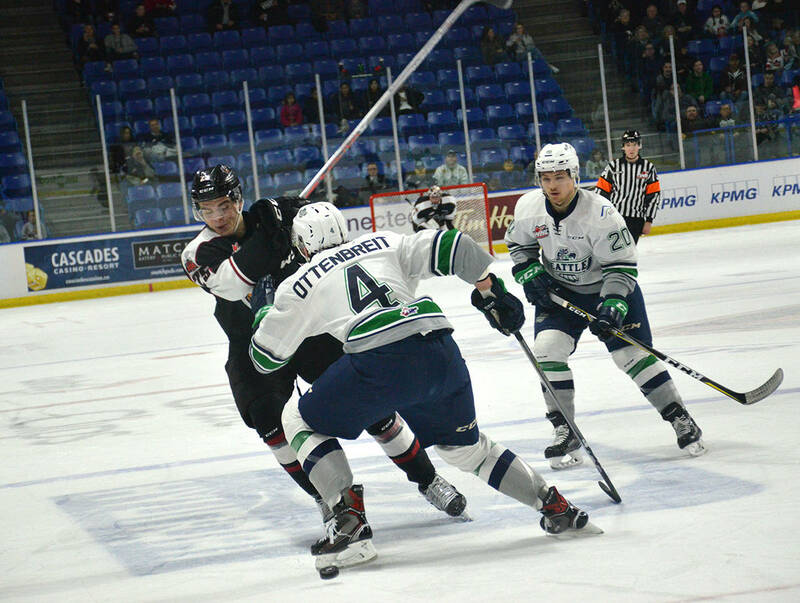 The Giants looked destined for another defeat until Ty Ronning scored on the back-hand, his 25th of the season ,with less than 90 seconds to play. The goal came with one Thunderbird in the penalty box and the Giants goalie pulled for an extra attacker. Giants coach Jason McKee credited special teams — Seattle was 0-for-4 and Vancouver 2-for-3 — and more energy for his team’s win. “We played with more energy in the third and we got some life early and started to have a little more push-back,” he said. The Giants never led in the game as less than two minutes in, they failed to clear the puck and somehow Zach Andrusiak was all alone behind the Vancouver defence. With time to spare, he deked out Scott and tucked the puck home for a 1-0 lead. 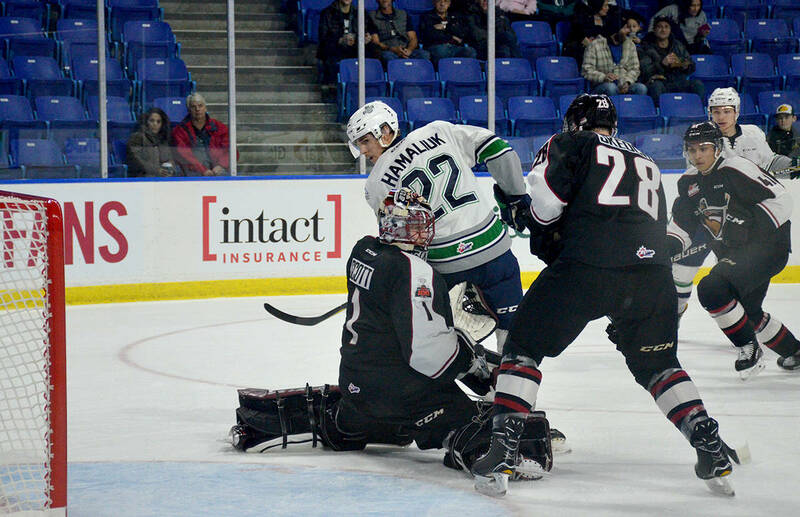 About 10 minutes later, Vancouver equalized as Aidan Barfoot crashed the net and buried a rebound off a Cyle McNabb shot. 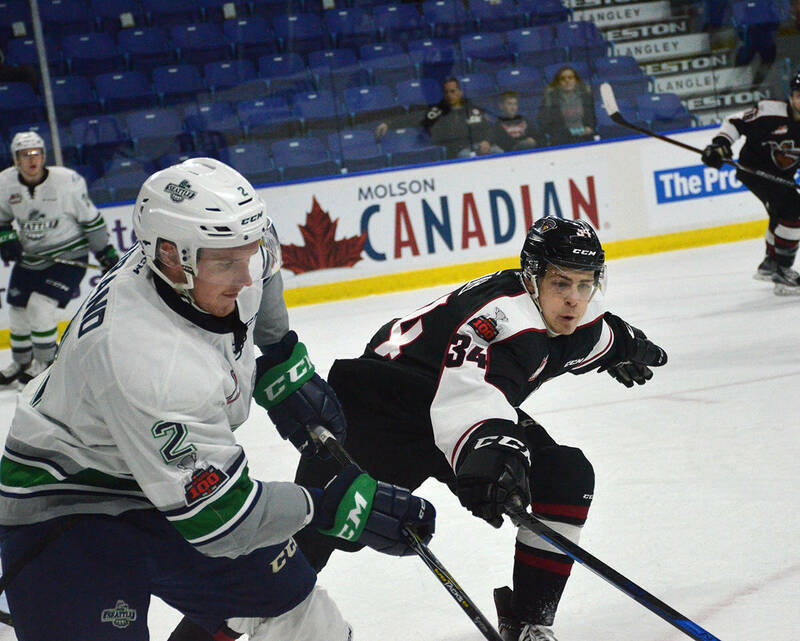 The teams went into the locker room tied at one and Jarret Tyszka — the local Langley product — beat Scott for the only goal of the second period. That goal also came off some Giants defensive coverage miscues as Seattle had a numbers advantage down low. The victory should be a confidence boost for the team. “It is big. It is also the way we won too, coming back. Today, our special teams were a difference. 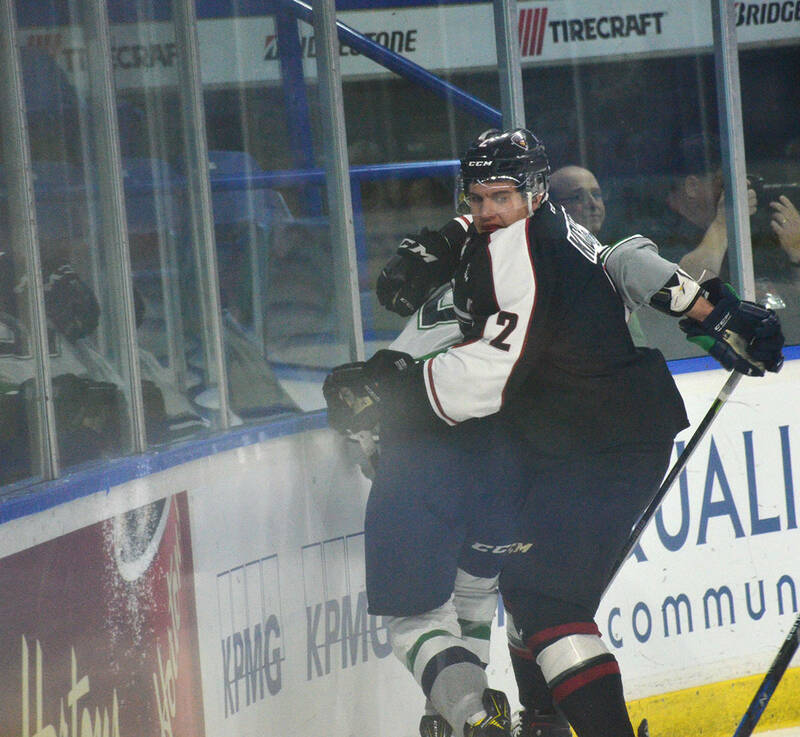 Our PK was strong and couple key saves from our goalie and our power play came through,” McKee said. The captain also believes it will be a big confidence boost, especially as Vancouver embarks on a two-game road trip to a Prince George team currently two back of the Giants for third place in the B.C. Division. 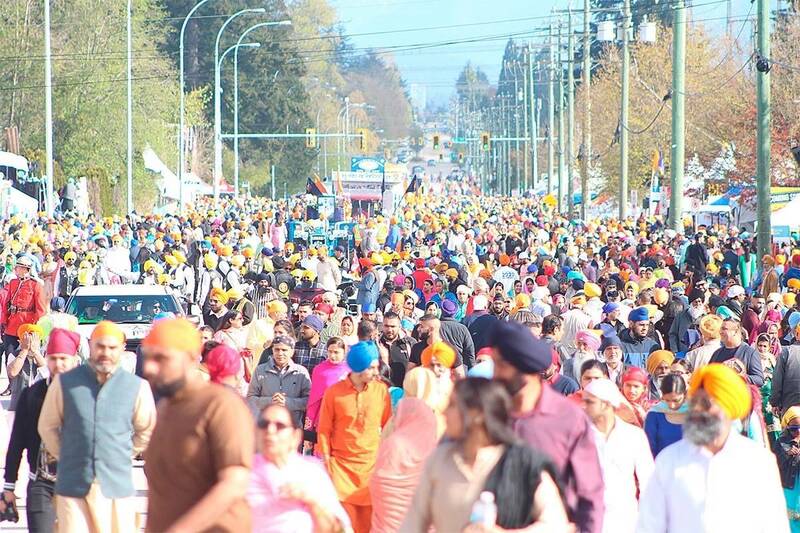 “It creates energy in the room. you can tell how happy guys are right now and I think it will build momentum for our next game and our next practice,” he said.